Matthew Gray Gubler and his puppy. 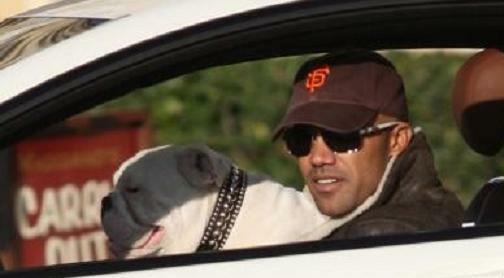 SHEMAR MOORE and Shug, one of his two English bulldogs. 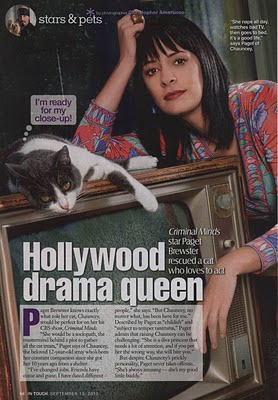 With IN TOUCH magazine coming out with a feature on CRIMINAL MINDS co-star Paget Brewster's cat, we thought you would enjoy seeing some of the other MINDS' stars pets. 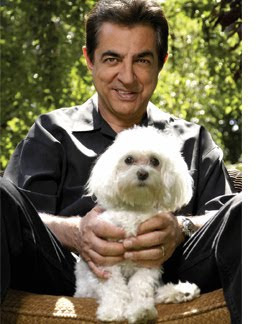 We were surprised that Joe Mantegna had a little "foo-foo" dog. Doesn't quite fit his "tough guy" image. Matthew Gray Gubler's puppy suits him, although his little doggie may be bigger now, since the photo is a year old. And, SHEMAR MOORE, who owns bulldogs, doesn't mind taking them in his pricey, customized car. Bulldogs slobber! Guess it shows how unpretentious our SHEMAR is. Although he is now driving the HAPPY 40th BIRTHDAY Audi that he talked about on "The Ellen DeGeneres Show," we're guessing that SHEMAR's dogs, Moe and Shug, still get to ride with Daddy.